When it comes to holidays like Thanksgiving and Christmas there’s two things I always make in mass quantities. Mac & Cheese and puppy chow. Its no secret that I love mac & cheese. Not just me but my whole family. So when these fall holidays roll around its all I crave! My great grandmother makes an amazing baked mac & cheese that I love but its very time consuming. After years of trial and error I finally created the perfect crock pot mac & cheese. Not only is it incredibly creamy and cheesy, in can be made with the smallest of efforts. What’s my secret ingredient? 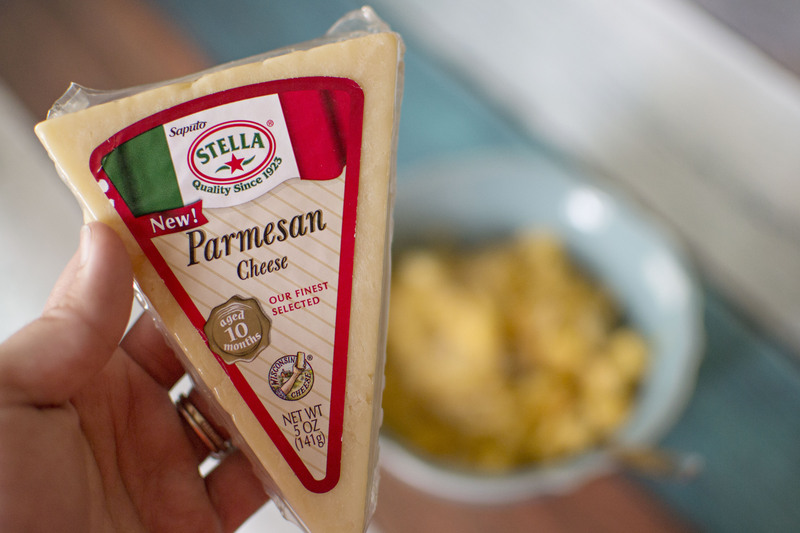 Besides using a ridiculous amount of different cheeses, its using Stella® CheesePIN IT!. Stella cheeses are flavorful and combine old world craftsmanship with rich dairy heritage, dating back to 1923. From shredded to crumbled and sharp to sweet, the wide range of Stella cheese products will infuse your meals with a hint of romantic flavor that’s sure to wow your guests. Let me fill you in on some tips and tricks before we get started. When purchasing your cheese, its better to buy block cheese then shred it. If you don’t have time to shred then pre-shredded will work just fine. After the mac & cheese is cooked don’t keep the crock pot on warm or you will burn it. I’m personally a fan of slightly burnt edges on my mac & cheese so I purposely burn mine though. If you’re in a time crunch you can bump the cook time up to just over an hour if you cook on high and stir every 20 minutes or so. I love mac and cheese!!!! I have never tried making it in a crock pot though. This recipe sounds so yummy and easy to make! This has all of my favorite cheeses in it and it’s made in the crock pot? OMG, this looks like heaven to me! I can’t wait to make this. Ooooh my son would love this. As much cheese as there is in this….Very nice. Might try to make it for him. OMG! I am so munching out right now. I absolutely love Mac and Cheese and your recipe sounds to die for. The photos have inspired me to give it a go. Great job! Love it! I love mac and cheese. I am fond of trying new recipes, this seems to be very yummy. I will try this for sure. Thank you for sharing. I love mac and cheese! And in a crock pot? I’ll have to try this recipe! Mac and Cheese?!?! You are speaking my language and I’ve never made it this way before so I will have to give it a try. It looks so good! 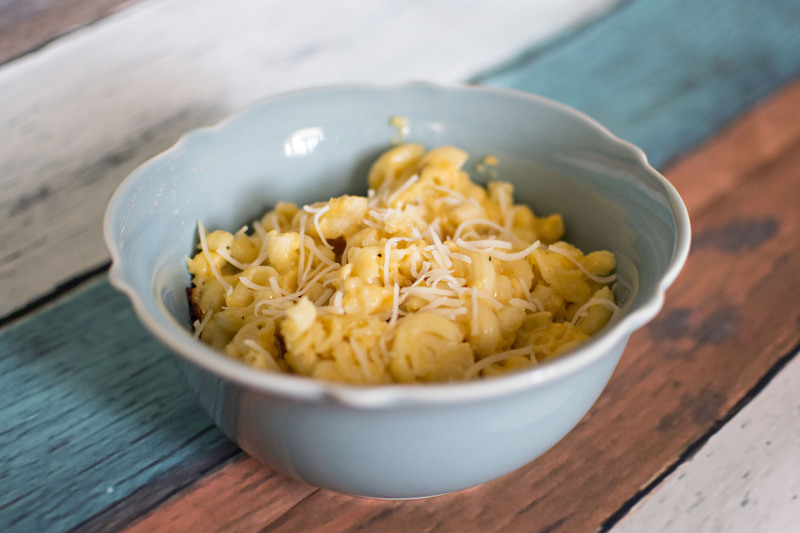 My girls love mac and cheese and I love putting a twist on the classic recipe. This makes cooking easier since you’re using a crock pot! Awesome! I need to try making making and cheese in my crock pot!! This sounds perfect for dinner with the kids! Both my children could eat mac and cheese everyday. This crock-pot recipe looks amazing! Parmesan cheese is yummy. This looks really good. We love parmesan cheese and use it all the time. I need to try this recipe. I’ve always been scared to try pasta in the slowcooker. THIS though makes me very very curious because I have some definite macaroni and cheese lovers in the house. This sounds SO good! I’ve been wanting to get a crockpot because they make meals so easy, but with this recipe, the meals will be yummy too! I need to get one now so I can try this out! I’ve yet to make mac n cheese in the crock pot, but you’ve inspired me to try it! It looks tasty. your dish looks amazing. I love slow cooker dishes, mainly because they are so easy to prepare and save so much of your time and energy.